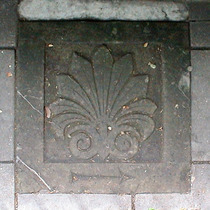 The palmette is a common decorative motif used in Greek, and in this instance Greek revival, architecture. It can also be seen along the roof line of the church. 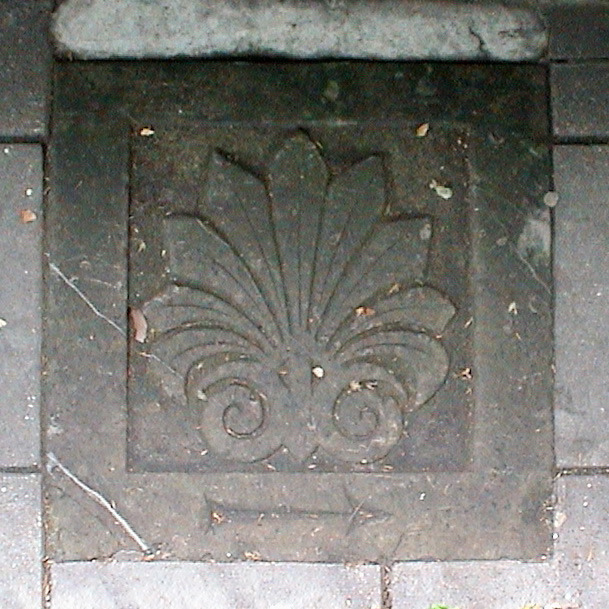 This stone, decorated with palmette and arrow, is laid in the pavement in front of the caryatids (women pretending to be pillars) on the north elevation of the 1820 Greek revival church. We guess that, prior to realignment during pavement works, the arrow used to point to the church, but why is it here? There are two others - see House Sparrow for the latest news on this puzzle.